Since its completion, the CABANA Trial has gotten a lot of attention. You may have heard or read about it and wondered what its findings may mean for your own situation and treatment. Sometimes, sorting through all the information you’re hearing can feel a bit overwhelming—especially when a lot of it is just opinion or baseless conclusions written by those who haven’t seen the actual data. 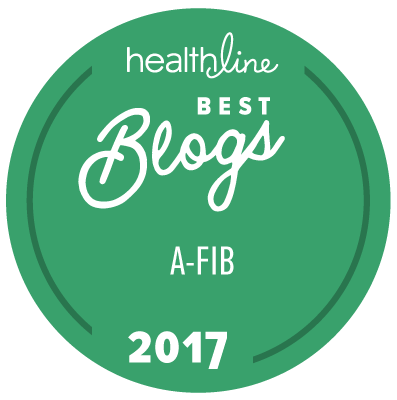 That’s why we decided to host a brand-new, complimentary webinar, What Afib Patients Should Know About the CABANA Trial, with CABANA Principal Investigator Douglas Packer, MD this Tuesday, April 2 at 2 p.m. Central, to set the record straight. Dr. Packer is a world-renowned Mayo Clinic Afib Expert, and I’ll be speaking with him about why the CABANA Trial is so important and why its results are significant. Get The Facts About The CABANA Trial. If you’ve attended a Get in Rhythm. Stay in Rhythm.® Atrial Fibrillation Patient Conference in the recent past, you’ve heard Dr. Packer speak, so you already know how valuable the information is that he shares. Plus, he is so much fun to listen to! Last year, we bestowed him with the Eric N. Prystowsky, MD Advocate for Patients Award for his contributions to afib patients, especially through his work leading the landmark CABANA Trial. What the CABANA Trial is, and what it revealed about the effectiveness and safety of catheter ablation and patient quality of life. The trial’s important implications for afib patients, including specific sub-groups, such as age, gender, and other medical conditions. Which aspects of the CABANA Trial caused controversy, the truth behind the stories, and Dr. Packer’s expert take on all of it. What impact the trial may have on treatment guidelines and future research. Plus, you’ll get a sneak peek at what Dr. Packer will share at the 2019 Get in Rhythm. Stay in Rhythm.® Atrial Fibrillation Patient Conference August 9–11 in Dallas, Texas. Discover What The CABANA Trial May Mean For You. Join us, live, to get relevant information about the CABANA Trial and its implications. Get Important Information, Straight From The Source.